Panasonic has introduced the world's smallest and, weighing in at 2.9lbs, lightest LCD projector with a built-in SD memory card slot. Aimed at enthusiast photographers, the PT-P1SD projects both still and moving (Panasonic DSC movie clips only) images directly from an SD card, and features built-in slide show functions making it perfect for viewing your digital photos. 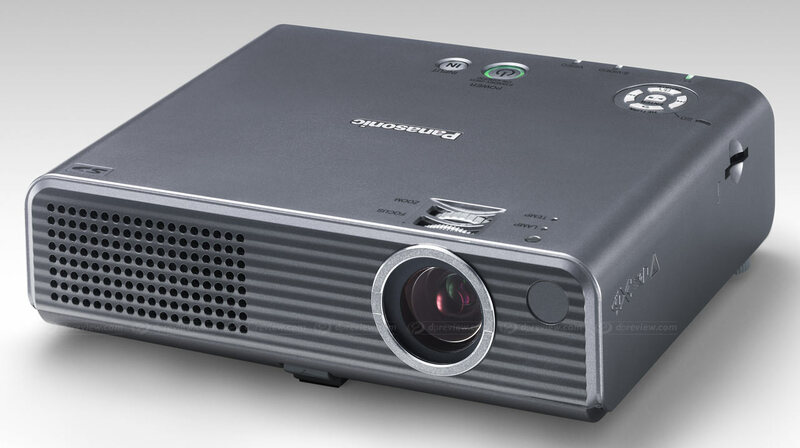 Panasonic is introducing the world’s smallest, lightest LCD projector with a built-in SD memory card slot. Called the PT-P1SD, the new projector gives users a new way to enjoy pictures taken with a digital still camera that uses SD Memory Cards. Simply slip an SD card into the slot, and the PT-P1SD projects clear, bright, beautiful images onto a huge screen. The PT-P1SD is also exceptionally small and lightweight and easy to use. The PT-P1SD’s ability to project images directly from an SD card takes all the trouble out of operation. Simply aim the PT-P1SD at the screen and plug it in. When an SD card is placed in the card slot, the PT-P1SD automatically switches on and is ready to project digital still images*1 or moving pictures*2. The images on the SD card are displayed as a list of thumbnails; just select the image you want to view. The PT-P1SD also features built-in slide show functions for viewing your digital photos. You can select any of several transition effects between slides, including wipe, fade, split, blind, checker, slide in, and random. With photos taken in DPOF*3 form, you can set the PT-P1SD to run a slide show of favorite images or to provide automatic photo rotation. The PT-P1SD is built for exceptional portability. Weighing only 1.3 kg (2.9 lbs. ), it’s the lightest*5 projector of its kind on the market. 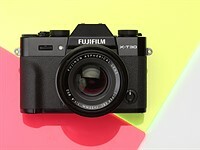 It’s the smallest too, measuring just 23.4 x 18.8 x 6.5 cm (9.2˝ x 7.4˝ x 2.6˝). The PT-P1SD’s three types of input terminals let you connect a PC, DVD player, VCR or TV. With Auto Search, the PT-P1SD automatically detects the type of source connected (an LED lights up as an indicator) and begins projection. The PT-P1SD also displays a list of function keys that can be used for activating the presentation mode in several popular kinds of PCs. Featuring Panasonic’s Daylight View technology, the PT-P1SD senses the ambient lighting conditions and adjusts the colors accordingly. Anti-theft features include an SD card key function (which allows operation only when a registered SD Memory Card is used), password control lock, and Kensington lock. The PT-P1SD also comes with a remote control card that controls operation when projecting images from an SD card. Other convenient features include auto power off and HDTV compatibility. *1 Compatible with all Panasonic LUMIX digital cameras. For compatibility with other digital cameras, see “Projecting Images from an SD Memory Card” below. *2 The PT-P1SD can display only moving pictures recorded as QuickTime Motion JPEG files with a Panasonic LUMIX digital camera. *4 To display a slide show, the PT-P1SD must be set to Presentation mode, and the SD card must contain one set of JPEG image files created from a Microsoft® PowerPoint® file using Image Creator 1.5. *5 The world’s smallest and lightest LCD projector as of January 2006. *6 The projector cannot be placed into a bag until the cooling fan stops operating. Exif2.2 JPEG images that conform with DCF (Design Rules for Camera File System). QuickTime Motion JPEG files recorded with a Panasonic LUMIX digital camera.